This Sarabanda is the third movement of Italian Baroque composer Arcangelo Corelli's Trio Sonata No. 8 in B minor, published in 1685. 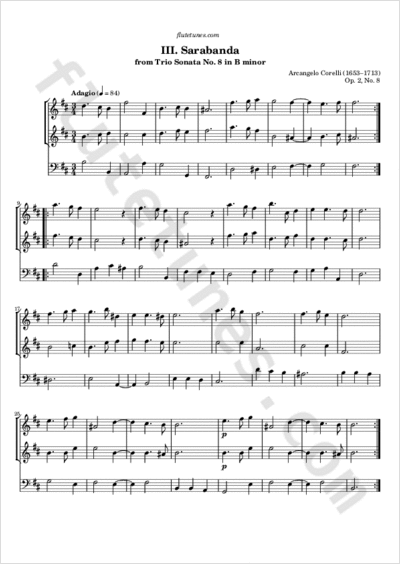 Like the preceding prelude and allemanda, this movement also starts with a combination of the three notes B, C-sharp, D, which provides a thematic connection.